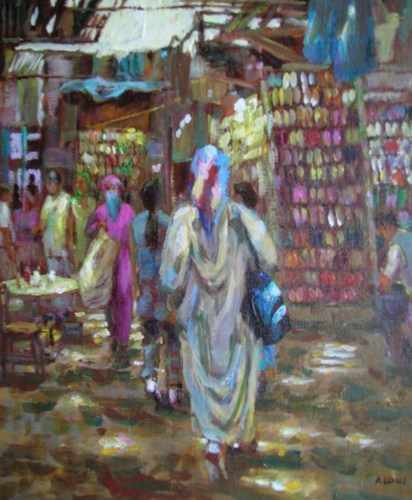 ORIGINAL HIGH PRESTIGE OIL PAINTING "Shoes in the Red City". BY THE FABULOUS ARTIST DAVID ALDUS. This lovely painting capturing the colour and vibrance of a Marrakesh Market painted in Morocco. Painted in the searing heat of Marrakesh. 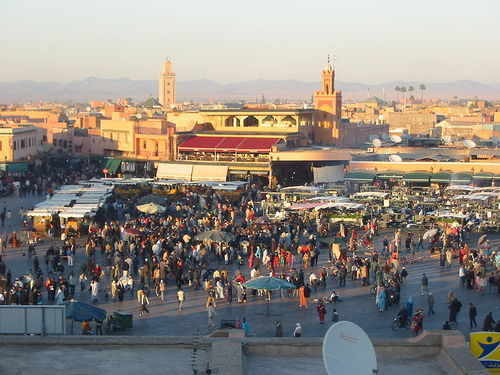 Marrakesh literally meaning the land of God ! !